In an effort to strengthen business relations between the south-central Kentucky region and Indian companies interested in doing business there, an Indo-Kentucky Chamber of Commerce has been formed. Rodney Kirtley, executive director of the Barren River Area Development District, told The (Bowling Green) Daily News that because a great deal of India’s infrastructure is already at capacity, Indian companies often look to other countries to expand. “We want them to consider Kentucky and think we will have a better opportunity if we have an Indian chamber,” he said. Kirtley said he believes the new organization could potentially draw several hundred members from the region. The Western Kentucky University Board of Regents has approved adding a new doctor of physical therapy degree. The program, which will begin the fall of 2012, is the third professional practice doctorate program at WKU. WKU currently offers a Doctor of Educational Leadership and is implementing a doctor of nursing practice. The Board of Regents also approved a master of arts in teaching degree that would prepare students for initial teacher certification at the graduate level, a master of arts in social responsibility and sustainable communities, and a bachelor of science in mathematical economics. Baptist Regional Medical Center has informed its staff that it will need to cut approximately 100 jobs in June in order for the hospital to be financially viable. Hospital management said that the reductions are due to “the increasing demand to provide care for an ever-increasing number of patients without the resources to pay for their care.” In addition, the hospital has experienced funding cuts as well as steadily declining insurance reimbursements. Management is hoping that as many cuts as possible will be made through attrition and early retirements. Baptist Regional is one of the area’s largest employers, with more than 1,100 workers. Convergys is adding 180 new jobs at its customer contact center in Erlanger to support five customer service programs in the Greater Cincinnati area. Cincinnati-based Convergys specializes in relationship management and has approximately 70,000 employees in 67 customer centers worldwide. The company currently has some 900 employees at its Erlanger center. Toyota Motor Corp., which has its North American engineering and manufacturing headquarters in Erlanger, has announced that it expects production of all vehicle models to be back to a normal schedule by the end of the year. The company’s operations have been significantly impacted by the devastating earthquake and tsunami that hit Japan earlier this year. As a result, Toyota manufacturing plants have been forced to slow vehicle production as they wait for parts coming from Japan. Bucking a national trend that has seen wagering drop nearly 8.5 percent, Turfway Park ended its 2011 Winter/Spring Meet with wagering increases. On-track handle on Turfway races rose 6.3 percent to $5.647,604, while all-sources wagering on Turfway races rose 3.3 percent to $95,013,790. As part of the effort to drive handle, Turfway changed its Saturday post time from 1:10 p.m. to 5:30 p.m., introducing Saturday Night Lights as a “date night” complement to its successful Dollar Friday promotion. As a result, the track saw increases in food and beverage business as well as on-track simulcast handle. Toyko Boeki North America, an integrated measurement and data processing solutions company, has relocated its sales and service support office from Detroit to Florence. Tokyo Boeki General Manager Steven Hays said the company considered a number of different regions for the relocation, but decided on Northern Kentucky because of its proximity to major auto manufacturers and an efficient transportation system, as well as community resources. Xavier University has selected Fort Mitchell as the newest location for its off-site MBA program. The program is designed for working professionals and can be completed by attending classes two nights a week for 24 months. Classes will begin July 1, with an enrollment deadline of June 1. Xavier’s main campus is located in Cincinnati. Toyota Motor Manufacturing has ramped up its hiring, adding more than 250 team members this spring. ”We are hiring for our variable work force,” Toyota spokesperson Rick Hesterberg told The Georgetown News-Graphic. “We have been hiring several hundred, and we are bringing more in. It is significant.” Hesterberg said the company regularly assesses its hiring needs based on volume numbers, market conditions, special projects and attrition. American Eagle has increased flight service out of the Cincinnati/Northern Kentucky International Airport to Chicago, Dallas and New York. The airline has added one daily flight to Chicago and New York (JFK) and added two additional daily flights to Dallas. Frogdice, a young video-game company, has been awarded an $80,000 loan from the state to help purchase new software and other equipment. The company plans to hire seven new employees by 2014 who will have an average annual salary of approximately $49,000. Lexington biopharmaceutical company Transposagen has announced plans to add 21 new employees to its staff by 2013. Transposagen specializes in the development of rat models that can mimic human diseases, thereby facilitating the discovery and development of new drugs. The new jobs will pay an average annual salary of $58,750. Bluegrass Hospitality Group, which owns six restaurants in Lexington, has expanded to Louisville with the opening of a Drake’s restaurant and bar in the St. Matthews area. In addition to the Lexington Drake’s, the company also operates Malone’s, Sal’s Chophouse, Harry’s Bar and Grill, Aqua Sushi and Regatta Seafood. The Louisville Drake’s is the company’s first location outside of Lexington. Kindred Healthcare Inc. has acquired the California operations of CareSouth HHA Holdings LLC for an undisclosed amount. CareSouth, a California-based home health company, operates four locations in Southern California and the San Jose market that generated approximately $11 million in revenue for fiscal year 2010. Prior to the acquisition, Kindred had 13 long-term acute-care hospitals, two nursing and rehab centers and one subacute unit in the Southern California and San Jose markets. Louisville-based Smoothstone IP Communications has entered into an agreement to be acquired by Nebraska-based West Corp. for $120 million. Founded in 2000, Smoothstone has established itself as a leader servicing large-scale enterprise with cloud-based communications solutions for enterprise voice and data, with revenue growing more than tenfold since 2005. West provides technology-driven voice and data solutions to Fortune 1000 clients ranging from telecommunications and banking to retail, financial and healthcare. The acquisition is not expected to affect Smoothstone’s 100-member staff. United Airlines has launched daily nonstop air service between Louisville and Washington-Dulles International Airport. The flights, which will depart Louisville at 2:30 p.m. and leave Washington at 5:30 p.m., will be operated by ExpressJet, using 50-seat Embraer regional jets. The new service to Washington offers connection options to more than a dozen international destinations. Community Ventures Corp. has opened the Women’s Business Center of Kentucky with the goal of helping both established and prospective women business owners. The center offers entrepreneurial training and counseling, loan packaging, mentoring, certification assistance, business and procurement opportunities, and other assistance to help women business owners achieve success. Louisville-based PharMerica Corp., a national provider of institutional pharmacy and hospital pharmacy management services, has acquired an institutional pharmacy in Greenville, S.C. PharMerica is one of the leading pharmacy services company in the country, operating 97 institutional pharmacies in 43 states. The acquisition gives PharMerica its first entry into the South Carolina market. PharMerica has not released the name of the South Carolina company or financial details of the acquisition. Donan Engineering Co. has opened a new office in Minneapolis as part of the company’s strategy to open six new locations during the course of 2011. With those expansions, Donan, which specializes in forensic engineering investigations, will have 32 offices in 18 states. The Minneapolis office is the company’s first physical presence in Minnesota. Peak 10 Inc. has begun construction on an 11,500-s.f. facility that will be the managed services company’s third Louisville location. The addition, which will be adjacent to the company’s existing facilities, is expected to be complete later this year. It will bring the company’s total Louisville footprint to nearly 25,000 s.f. and will be the company’s 20th data center facility in its 10 U.S. markets. Many of Peak 10’s top technology executives, including Jeff Biggs, the company’s chief technology officer, are based in Louisville, and the Peak 10 Louisville location houses the company’s largest concentration of corporate and technology staff outside of its headquarters in Charlotte, N.C. Louisville also serves as one of the host sites for the company’s Cloud Plus infrastructure. Louisville-based Yum! Brands Inc. recently opened its 400th KFC franchise restaurant in Jakarta, Indonesia. Yum’s KFC and Pizza Hut brands have made it one of the leading restaurant companies in Indonesia, which has become a key emerging market for Yum with its large, young population of more than 245 million people, growing middle class and expanding economy. Yum expects to have more than 1,000 KFC and Pizza Hut restaurants in Indonesia by 2015. The University of Louisville Board of Trustees has approved a plan to combine more than 30 physician practices into one entity, effective Jan. 1, 2012. The new entity, a not-for-profit organization that will operate as University of Louisville Physicians Inc., will serve as the umbrella for 16 not-for-profit subsidiaries, one for each unit at the medical school. UofL said that by operating under one umbrella organization, the groups will be able to take advantage of single-point contracting and purchasing, cut overhead expenses and reduce duplication in billing and collecting. Luckett & Farley, one of Louisville’s oldest and largest architectural/engineering firms, has sold its majority interest in its subsidiary, L&F Design Build LLC, to John F. Stewart Jr., managing member of L&F Design Build. Luckett & Farley President and CEO Ed Jerdonek said that over the past four to five years, Luckett & Farley has been moving in a different direction and with a different client focus than L&F, resulting in the determination that it would be best for each company to carve out its own independent path. In the coming months, L&F will be changing its company name to something unrelated to Luckett & Farley. Financial terms of the transaction were not disclosed. Louisville-based Humana Inc. is adding 177 positions in Florida to support the growth of its Humana Cares division, which handles the company’s national chronic care management programs. The Humana Cares division opened in early 2009 with approximately 200 associates and has quickly grown to nearly 1,000 employees. According to figures released by Humana, individuals with chronic health conditions who are participating in Humana Cares programs have seen a 36 percent decline in hospital admissions and a 22 percent drop in emergency room visits. Specialty grocery chain Trader Joe’s has confirmed plans to open its first Kentucky location in the St. Matthew’s area of Louisville. The California-based company will occupy approximately 15,000 s.f. of space in the Shelbyville Road Plaza. An official opening date has not been announced. Simba USA is investing $2.25 million to expand its operations in Morehead, where it produces specialty towels and accessories. The expansion is part of the company’s decision to close a similar facility in Mexico and move those operations to its 25,000-s.f. Morehead plant. Simba expects to add 20 jobs to the existing 18-member staff as a result of the expansion. The Kentucky Economic Development Finance Authority has preliminarily approved Simba USA for tax incentives up to $800,000 as well as a low-interest loan to help finance the project. The Morehead-Rowan County Economic Development Council has also received a $380,000 community development block grant to help Simba purchase new equipment for the Morehead plant. The Pikeville College Board of Trustees has unanimously approved changing the name of the school to the University of Pikeville. The name change will go into effect July 1.  Superb IPC, a company that specializes in industrial powder coatings for a wide range of industries, has announced plans to expand its headquarter operations in Shelbyville. The company is purchasing advanced technology equipment that will reduce powder usage and energy consumption and will also add 20 new jobs to support the expansion. The project represents an investment of approximately $400,000. Shelby Industries, which specializes in metal stamping, welding, assembly and plating operations, has added nearly $300,000 in new equipment at its plant in Shelbyville in order to expand its customer base. The expansion will add 10 full-time jobs to the company’s 48-member staff. The Council on Postsecondary Education has moved to set maximum tuition and mandatory fee ceilings for in-state undergraduate students at the state’s public colleges and universities. The maximum tuition and mandatory fee ceiling increase was set at 4 percent for the Kentucky Community and Technical College System, 5 percent for the six comprehensive universities (Eastern, Kentucky State, Morehead, Murray, Northern and Western), and 6 percent for the two research universities, the University of Kentucky and the University of Louisville. CPE President Bob King said the move balances the need to support the universities’ student retention and graduation goals with a high-quality educational program. Kentucky’s state government has sold two aircraft on eBay.com as part of a government initiative to reduce costs. The 1975 Piper Navajo and 1967 Skyhawk planes sold for a total of $231,430. All proceeds from the sale will be returned to the state’s general fund. 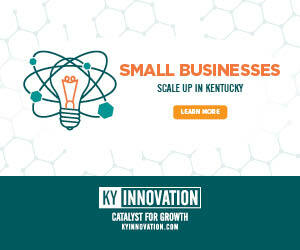 The Kentucky Small Business Development Center, a statewide network of 16 offices that helps existing and start-up businesses, has received a $660,000 grant as part of the Small Business Jobs Act of 2010 to support job creation and retention. The one-time grant will allow the SBDC to increase counseling services that include exporting, healthcare and high-growth businesses; add three full-time counselors to support central Kentucky, which is the area showing the greatest demand; develop a suite of services for independent professionals; and host regional business events. Through June 1, The 2011 Excellence in Entrepreneurship Awards program will be accepting nominations from across southern and eastern Kentucky for the region’s top business leaders and entrepreneurs. Nominees are judged on the economic success of enterprise, contributions to the community, job creation, and operational achievement as measured by innovative business practices, superior safety achievement and superior technology. For more information, visit centertech.com and go to the Excellence in Entrepreneurship link. Kentucky tied with California and Texas as one of the top eight states with the largest increase in entrepreneurial activity over the past decade, according to the recently released Kaufman Index of Entrepreneurial Activity, a leading indicator of new business creation in the United States. Kentucky experienced an 11 percent increase from 1996 to 2010. For 2009-2010, Kentucky improved its level of entrepreneurial activity by 16 percent.